Kills pests on indoor & outdoor surfaces including fire ants, fleas, and ticks which may carry Lyme Disease. 2 oz. 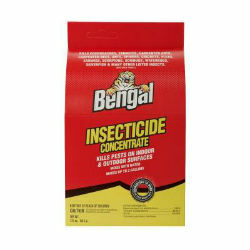 concentrate mixes with water to makes up to 2 gallons of insecticide. Recommended for commercial & industrial use. Approved for use in food & non-food areas.